Omaha Public Power District knows many of our customers are facing difficulties right now after historic flooding impacted the area. We understand because a number of our own employees are coping with their own property damage and losses, as well. Through this tough time, it’s important to remember safety, comes first. OPPD crews have been working to protect infrastructure from floodwaters to maintain safe, reliable service for our entire 13-county service territory. For safety purposes we have disconnected power to over 1,550 customers due to the flooding and related issues. This is a precaution OPPD takes when directed by law enforcement or emergency management officials. It is for customer safety, as well as the safety of others living in the area, for our crews and first responders. In these cases, OPPD will not be able to turn power back on until flooding subsides. OPPD is currently evaluating the safety of the electric equipment throughout flood-impacted areas in our service territory. 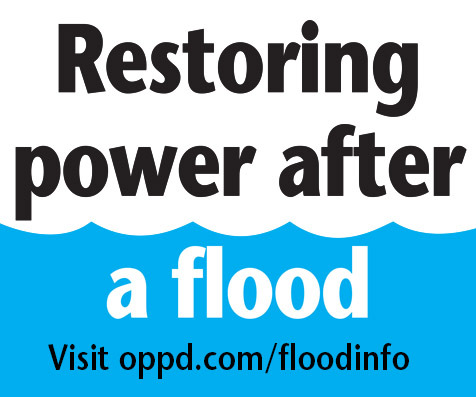 As our customers return to homes and businesses damaged by floodwaters, OPPD urges safety with regards to electricity. If you have standing water anywhere in your home, do not enter until you’ve made sure there are no electrical shock dangers. Read more about this topic here. Avoid standing water and floodwaters. They may contain chemicals that could make you sick or have downed power lines that cause electrocution. Such waters could also have sharp debris you cannot see. For those looking at using generators to supply power during outages or disconnections, there are important safety tips to keep in mind. The total electric load on your generator must not exceed the manufacturer’s rating. Portable generators are designed for connection only to smaller selected appliances or lamps. They should NEVER be connected directly to a building’s wiring system. This is extremely dangerous and could lead to a fire. Use a portable gas-powered generator for powering dewatering pumps when electrical safety is in question. Customers who would like to disconnect due power due to flooding will be subject to a reconnect process (see Power reconnection section below), which includes obtaining an inspection and permit. 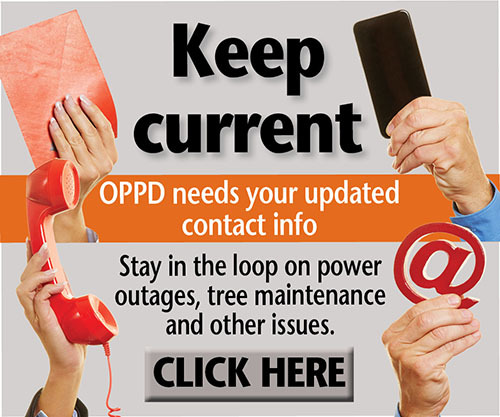 To request disconnection contact OPPD directly at 402-536-4131 or 1-877-536-4131. In the case of a customer’s home is destroyed by flooding and the customer wishes to cancel service entirely, OPPD can end service as of the last meter reading. To locate where to obtain a permit in your area, visit the Nebraska Electrical Division’s city and municipal government directory. 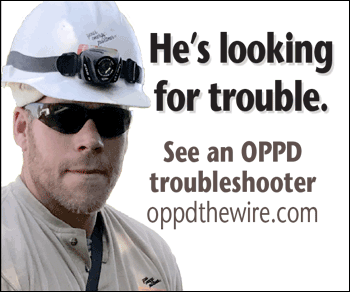 If your local town or community is not listed, see the state electrical inspector directory for your area. Sarpy County requests that customers who have no access to their homes due to flooding, and who would like to apply for an electrical inspection in order to get a permit, visit their website to fill out a form. Link directly here. Thank you for posting this valuable information. Thanks for your kind note, Mary. We’re hoping it can be at least a little bit of help for people who are going through so much right now.